Classic style meets quality workmanship. Burnished tumbled glove leather with contrasting edge stitching and matching keeper. 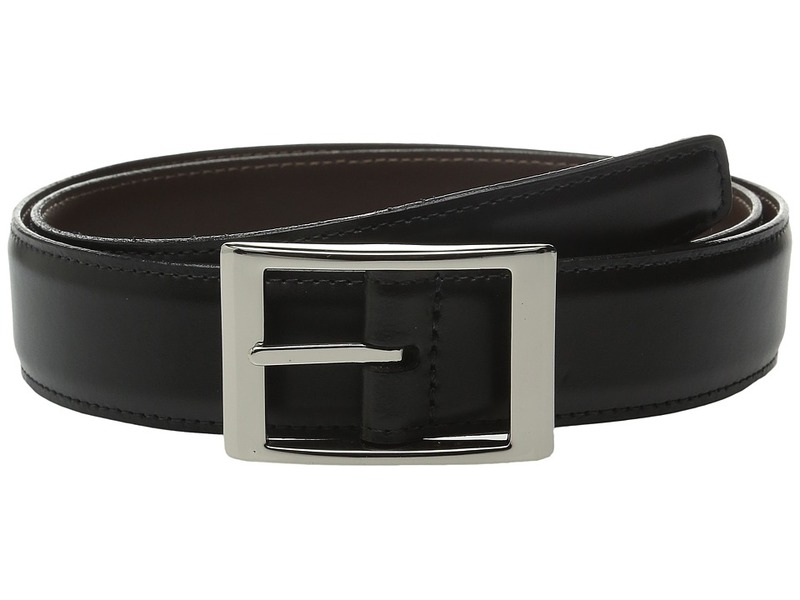 Polished nickel finish buckle makes this belt shine. Imported. The manufacturer recommends ordering one size up from your pant waist size. Size chart for Torino Leather Co. Belts (measured from prong to fourth hole): 32: 33.5 34: 35.5 36: 37.5 38: 39.5 40: 41.5 42: 43.5 44: 45.5 46: 47.5 Measurements: Width: 1 3 8 in First Hole Length: 30 in Last Hole Length: 34 in Weight: 6 oz Product measurements were taken using size 32. Please note that measurements may vary by size. Here~s a must-have belt to fit your casual needs. Genuine Italian woven cotton elastic provides stretchability for more comfort. Tumbled harness leather trim with matching double keepers. 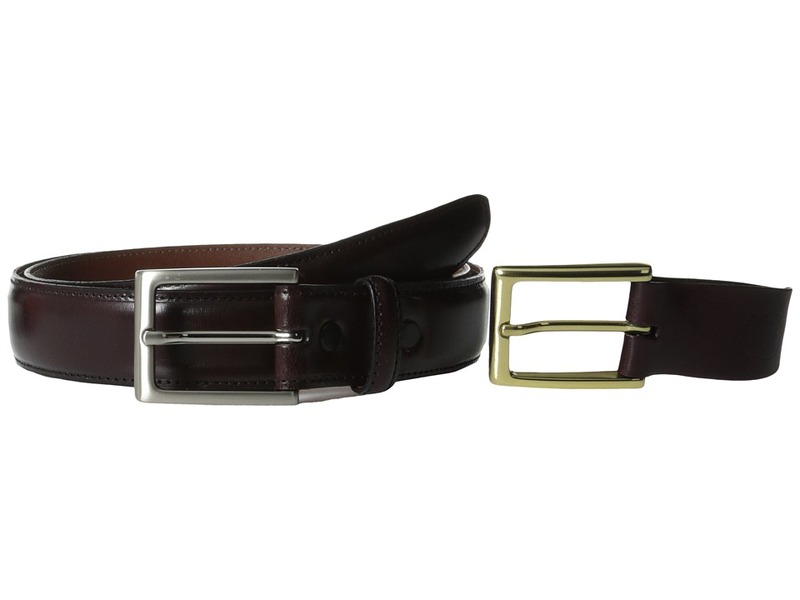 Brass buckle has a satin nickel finish to complete this versatile belt. Width: 1.25. Made in the U.S.A. The manufacturer recommends ordering one size up from your pant waist size. Size chart for Torino Leather Co. Belts (measured from prong to fourth hole): 32: 33.5 34: 35.5 36: 37.5 38: 39.5 40: 41.5 42: 43.5 44: 45.5 46: 47.5 Measurements: Width: 1 1 4 in First Hole Length: 38 in Last Hole Length: 41 1 2 in Weight: 7 oz Product measurements were taken using size 40. Please note that measurements may vary by size. 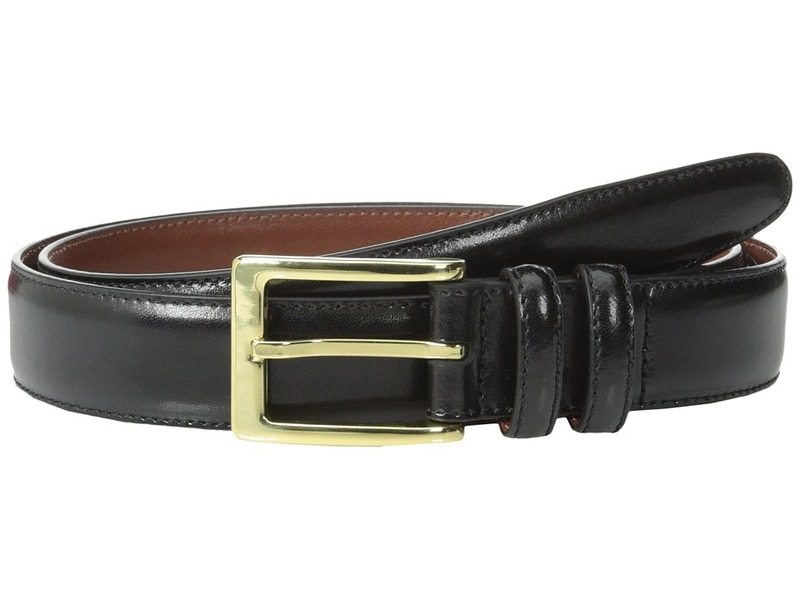 Ideal for almost any occasion, this striking belt can be paired with both dress and casual wear. Rich kipskin with single loop keeper. Comes with two removable buckles for a versatile look. Width: 1.2. Imported. The manufacturer recommends ordering one size up from your pant waist size. Size chart for Torino Leather Co. Belts (measured from prong to fourth hole): 32: 33.5 34: 35.5 36: 37.5 38: 39.5 40: 41.5 42: 43.5 44: 45.5 46: 47.5 Measurements: Width: 1 in First Hole Length: 30 in Last Hole Length: 33 1 2 in Weight: 4 oz Product measurements were taken using size 32. Please note that measurements may vary by size. 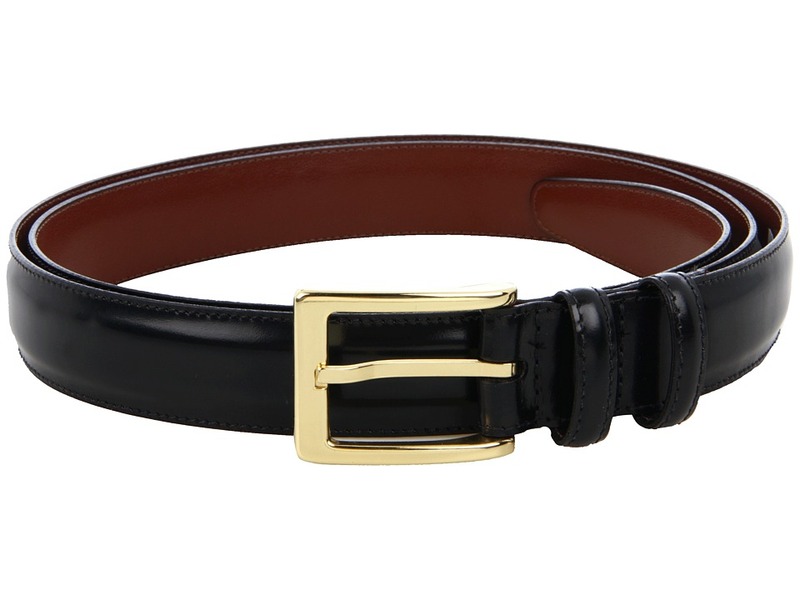 Dress up any ensemble with this polished belt. Fine leather strap with precise stitching detail. Gold tone brass buckle with a double loop keeper. Width: 1.2. The manufacturer recommends ordering one size up from your pant waist size. Imported. Size chart for Torino Leather Co. Belts (measured from prong to fourth hole): 32: 33.5 34: 35.5 36: 37.5 38: 39.5 40: 41.5 42: 43.5 44: 45.5 46: 47.5 Measurements: Width: 1 1 4 in First Hole Length: 35 1 2 in Last Hole Length: 39 1 2 in Weight: 4 oz Product measurements were taken using size 36. Please note that measurements may vary by size. 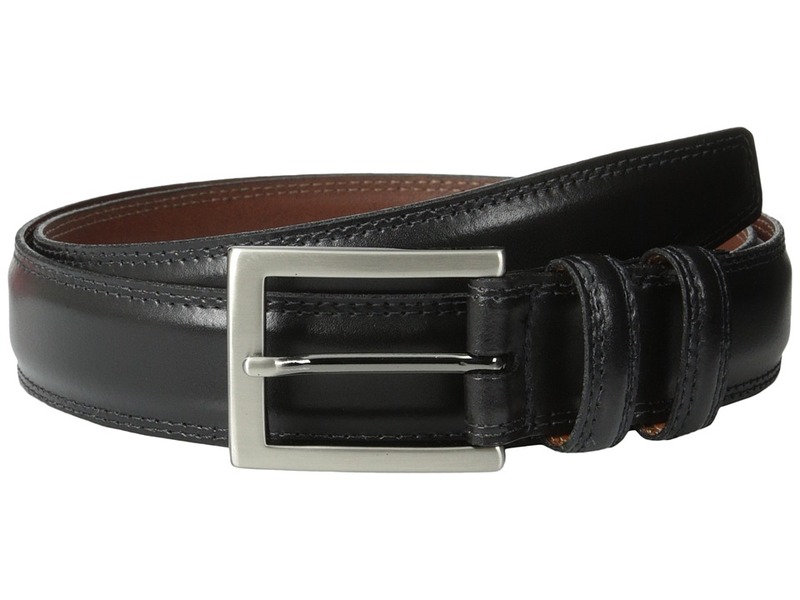 This versatile belt complements just about any attire. Narrow width leather strap for a crisp, neat appearance. Brushed nickel buckle with a double loop keeper. Width: 1.25. Made in the U.S.A. The manufacturer recommends ordering one size up from your pant waist size. Size chart for Torino Leather Co. Belts (measured from prong to fourth hole): 32: 33.5 34: 35.5 36: 37.5 38: 39.5 40: 41.5 42: 43.5 44: 45.5 46: 47.5 Measurements: Width: 1 1 4 in First Hole Length: 30 in Last Hole Length: 34 in Weight: 4 oz Product measurements were taken using size 32. Please note that measurements may vary by size. 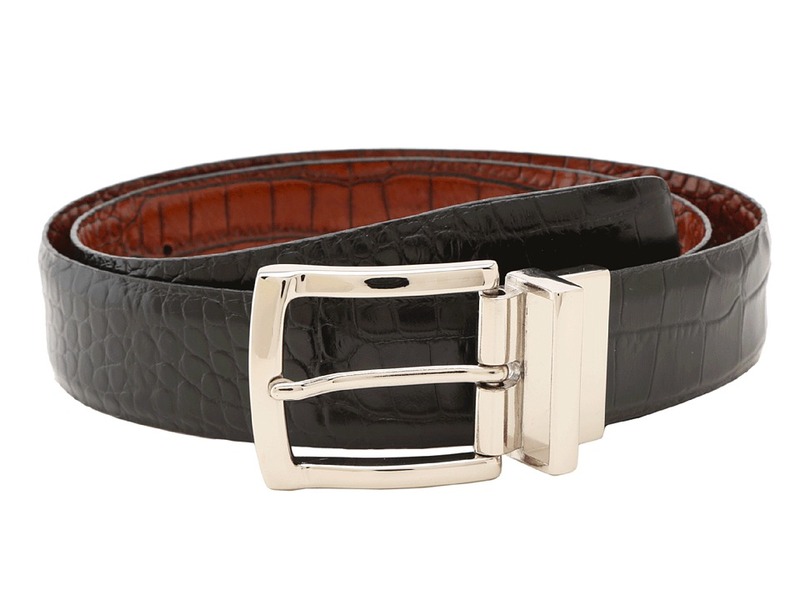 Polished and perfectly dashing, this Torino Leather Co. Italian Embossed belt will complete your look. Fine Italian leather strap with embossed alligator detail. 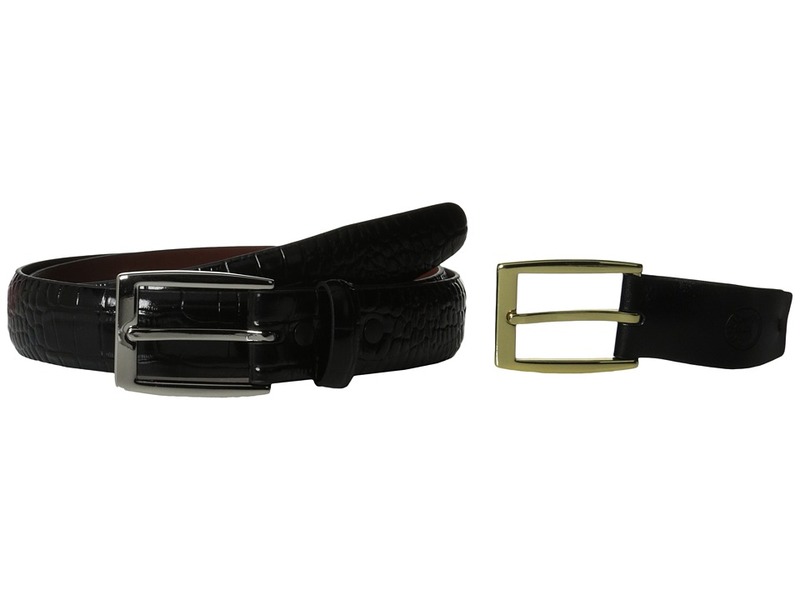 Reversible to give you two great color options in one classy belt. Silver-tone buckle with a single loop keeper. Width: 1 3/8. The manufacturer recommends ordering one size up from your pant waist size. Made in USA. Size chart for Torino Leather Co. Belts (measured from prong to fourth hole): 32: 33.5 34: 35.5 36: 37.5 38: 39.5 40: 41.5 42: 43.5 44: 45.5 46: 47.5 Measurements: Width: 1 1 4 in First Hole Length: 33 in Last Hole Length: 38 in Weight: 6 oz Product measurements were taken using size 36. Please note that measurements may vary by size. 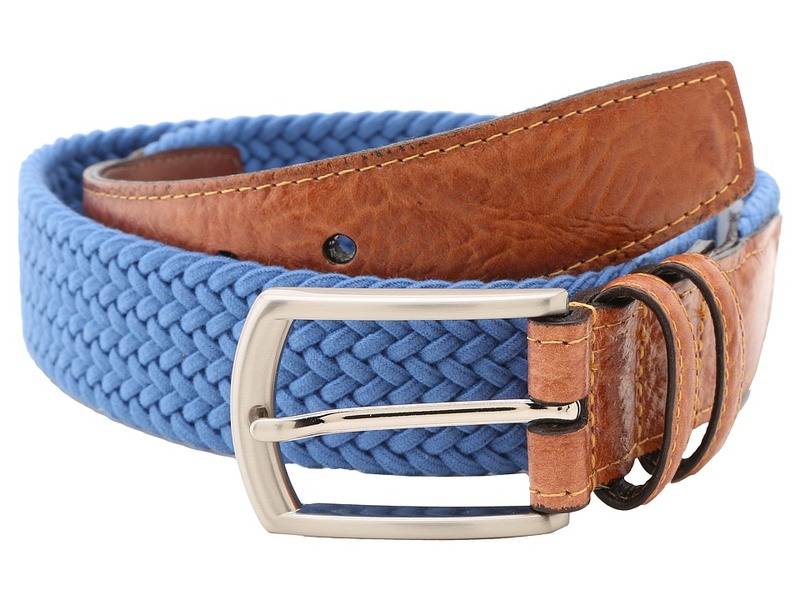 This versatile belt complements anything and offers you the freedom of its reversible style! Narrow width leather strap for a crisp, neat appearance. Polished nickel buckle. Reversible. Width: 1.25. Made in the U.S.A. The manufacturer recommends ordering one size up from your pant waist size. Size chart for Torino Leather Co. Belts (measured from prong to fourth hole): 32: 33.5 34: 35.5 36: 37.5 38: 39.5 40: 41.5 42: 43.5 44: 45.5 46: 47.5 Measurements: Width: 1 1 4 in First Hole Length: 43 in Last Hole Length: 48 in Weight: 5.6 oz Product measurements were taken using size 44. Please note that measurements may vary by size. 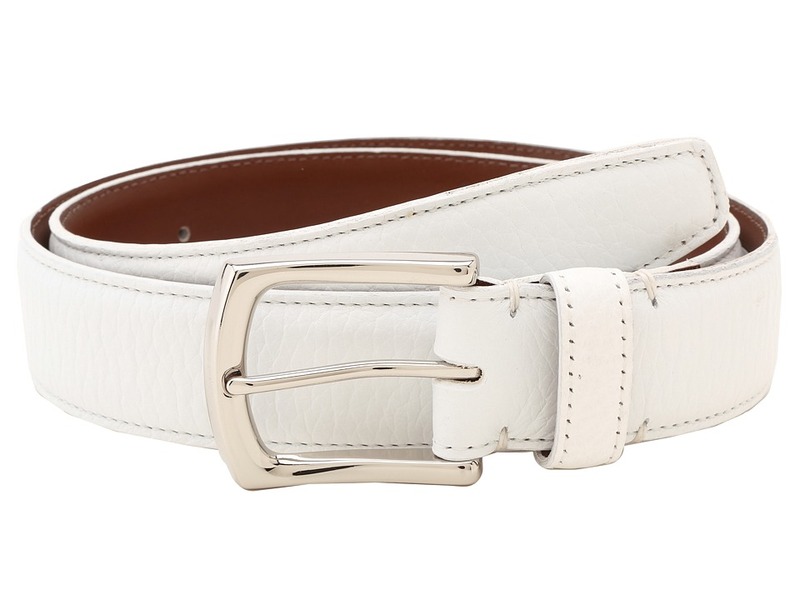 Your favorite go-to belt to add a chic finish to any outfit. Leather strap for a crisp, neat appearance. Brass-tone buckle with a double loop keeper. Width: 1. Imported. The manufacturer recommends ordering one size up from your pant waist size. Measurements: Width: 1 in First Hole Length: 47 in Last Hole Length: 51 in Weight: 10 oz Product measurements were taken using size 56. Please note that measurements may vary by size.